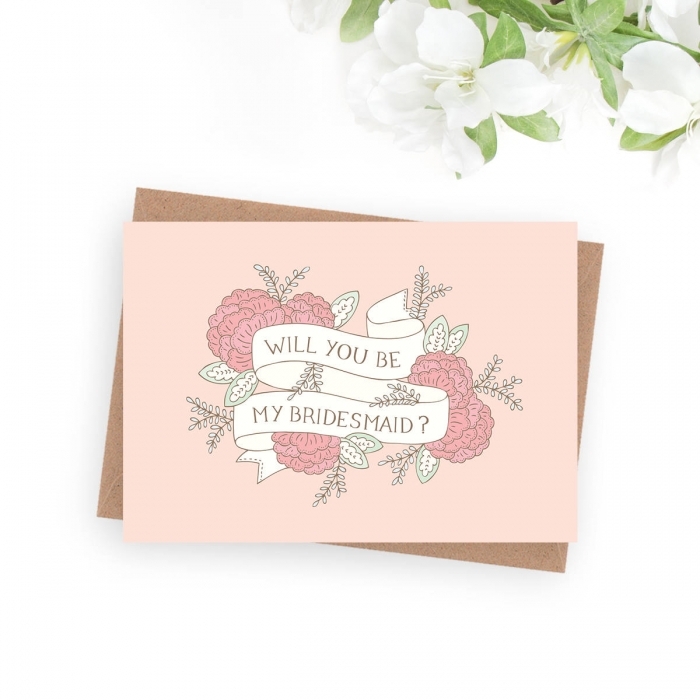 Your girls deserve a beautiful bridesmaid proposal! You’ve been with through a lot with them, so why not let them know how much they mean to you with a unique and beautiful card? 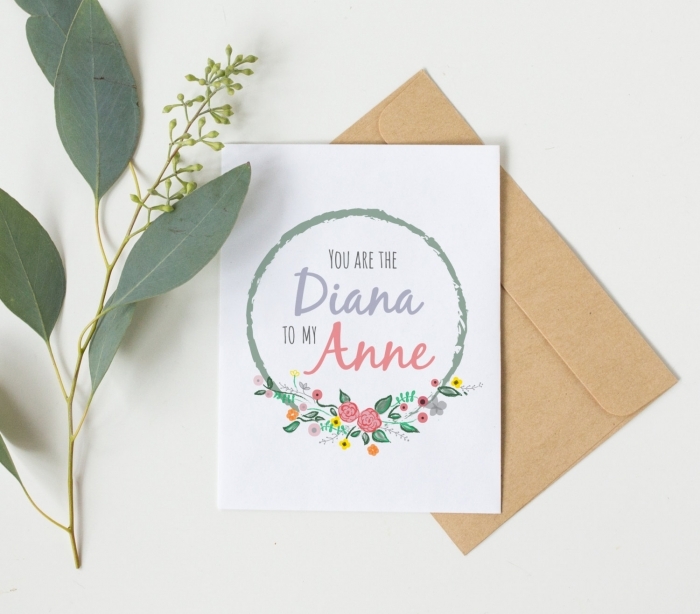 If you’ve read (or watched) Anne of Green Gables you know just how sweet this card is from BeccyKittyDesigns. Scratch off cards add an extra level of surprise to your proposal. 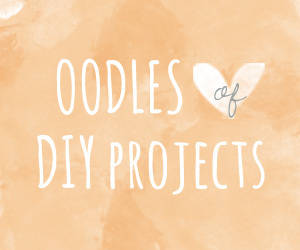 If you love this idea, we suggest this gorgeous card from JoanneHawker. 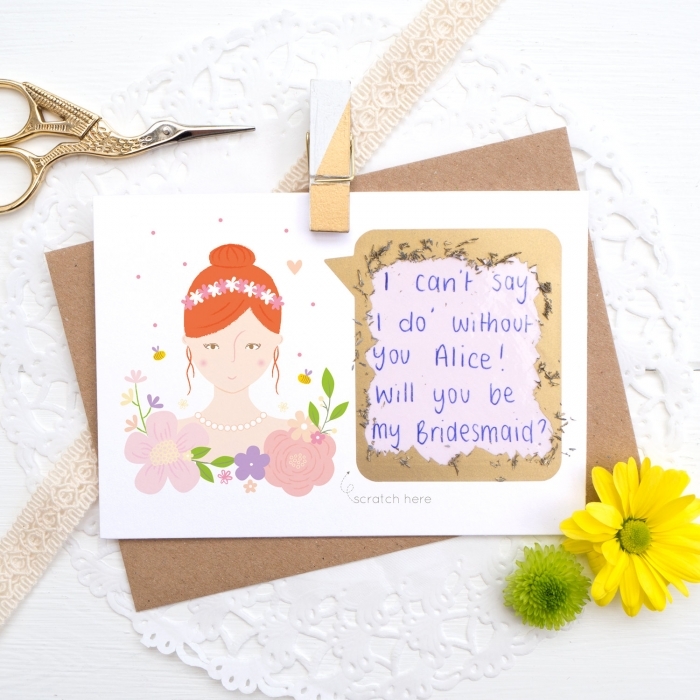 This charming card from JoanneHawker puts gorgeous graphics and minimalism in one pretty package. 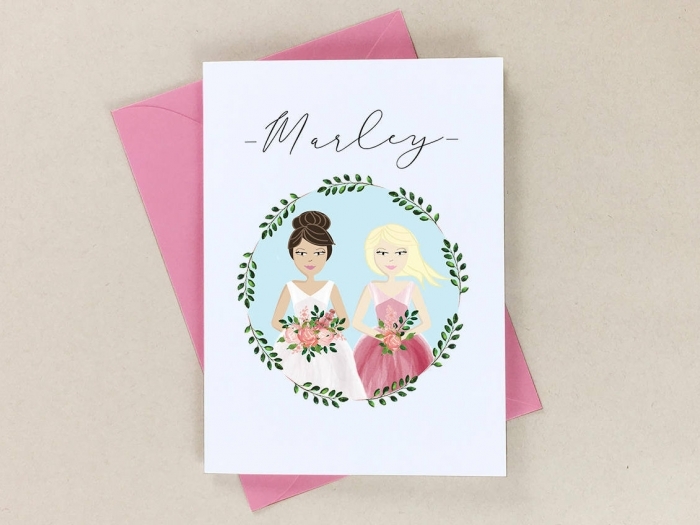 This lovely card from PetitePrintShopLLC offers a personalized illustration. Are you looking for a sleek, modern design? 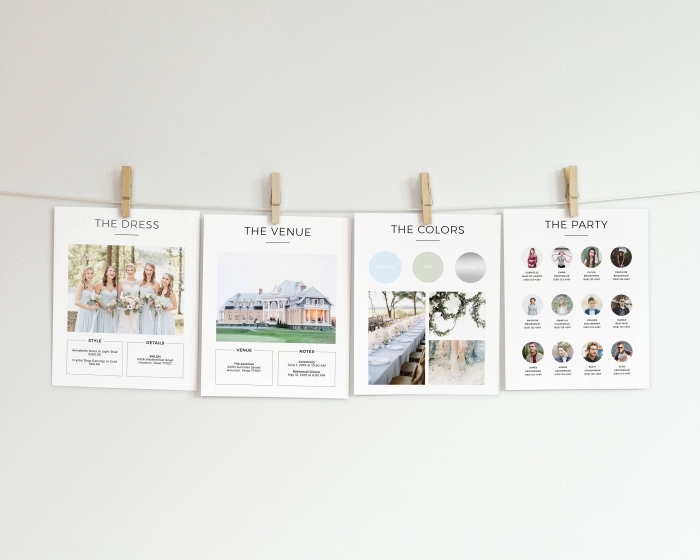 You’ll love these bridesmaid detail cards from ShopGabrielle! 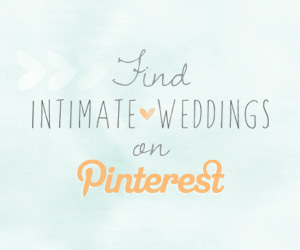 A perfect addition to your bridesmaid proposal box! Blush, blush and more blush! 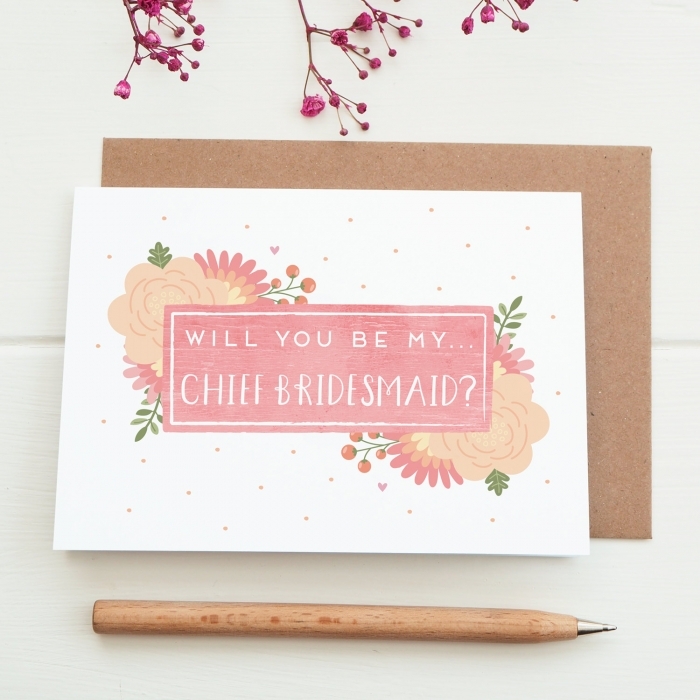 We’re swooning over this bridesmaid proposal card from beaandbloom. 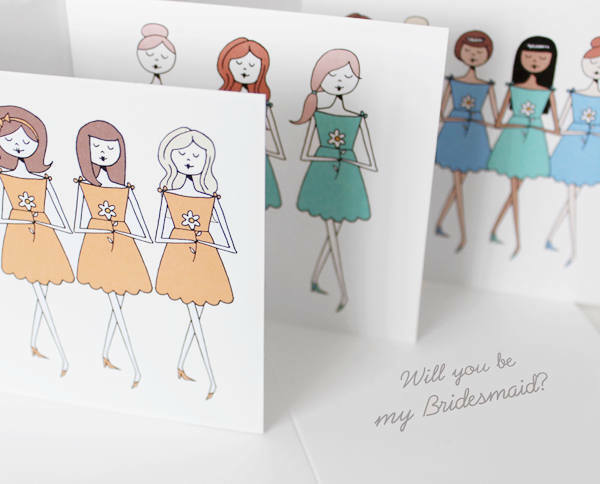 We love the sweet, simple illustrations on these cards from FlapperDoodleWedding. One common downside of scratch off bridesmaid card is that they come with pre-printed messages. 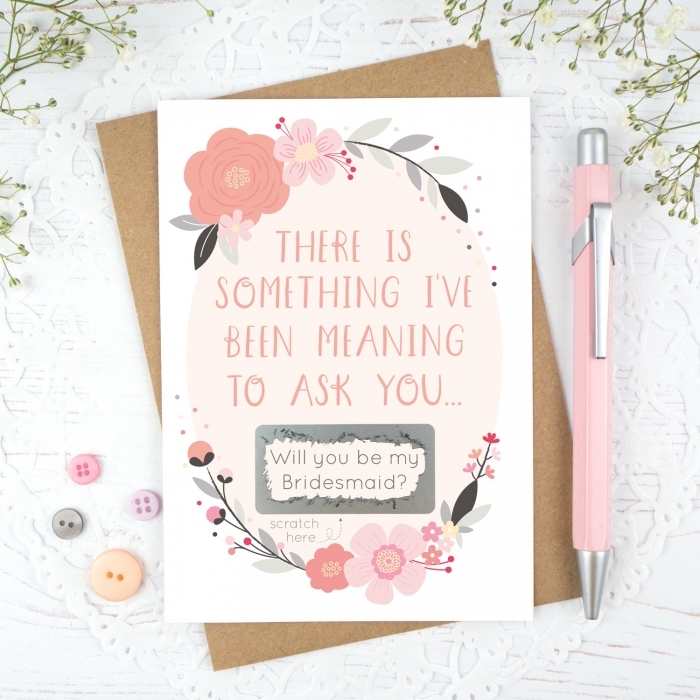 With this illustrated card from JoanneHawker, that is not an issue! 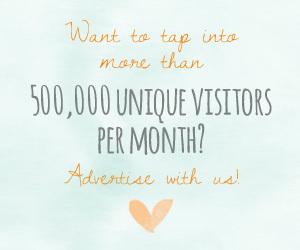 You can write your own message, and make it truly special.